Although I live in Pennsylvania now, part of me will always be a New England girl. More specifically, a New England girl perpetually living in the middle of spring through the middle of fall because, honestly, I could do without the winter nor'easter storms and blizzard-like conditions. One of my favorite New England experiences is digging into the first warm and buttery lobster roll of the summer. Unfortunately, Stephen and I don't have easy access to authentic lobster rolls during the summer and have resorted to getting our fix whenever we happen to be in Boston. So, when I received an email from Lobster Anywhere inviting me to try their Lobster Roll Kit, I immediately accepted and started planning the rest of our menu for our "So Long to Summer" party with our friends Chris and Laura and their two kids over Labor Day Weekend. 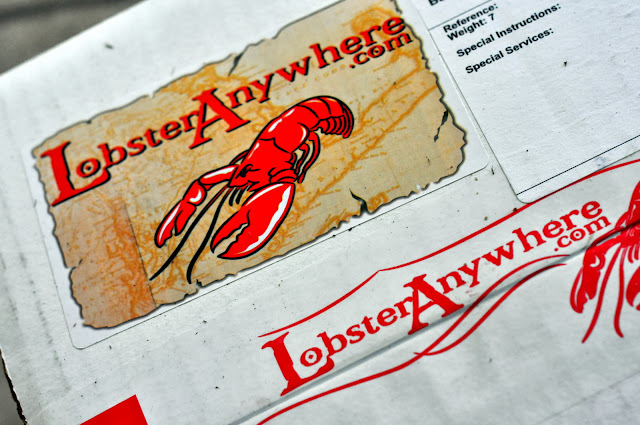 Lobster Anywhere is a online retail company that has been delivering "the finest Maine lobster, unique dishes, and award-winning chowder" to customers all over the country since 1999. 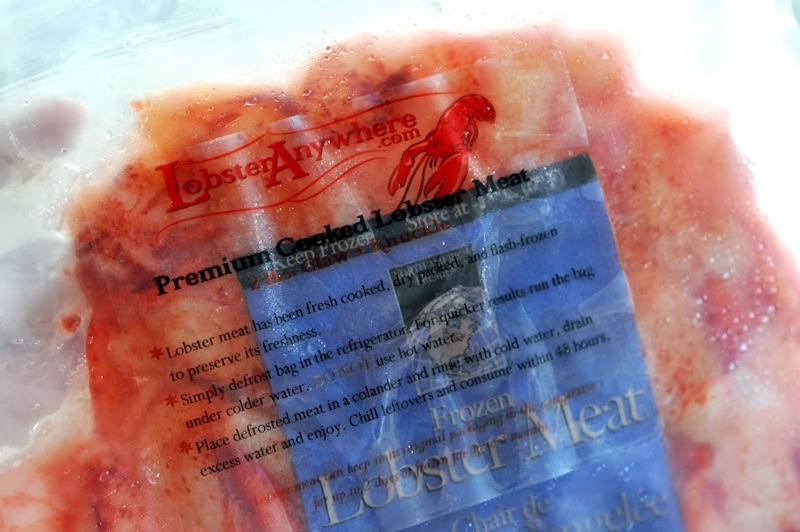 All of their gift packages include free overnight delivery, as well as a cooking and handling guide, an especially useful item for those who don't work with seafood that often. Once I had a lock on the date of our party, I arranged to have the Lobster Roll Kit delivered the day before to ensure that I'd be cooking and serving the freshest possible seafood to our guests. When I opened the package, I was blown away by how thoughtfully it was put together. 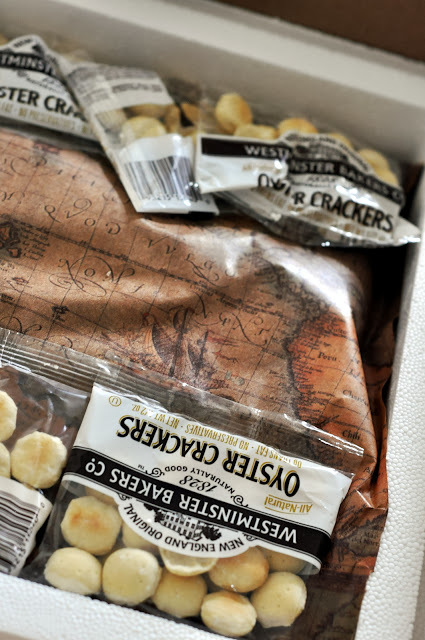 On top were individual packets of oyster crackers. I was tempted to open one of the bags right then and there for a little snack, but I was a good hostess and resigned myself to wait until the party. 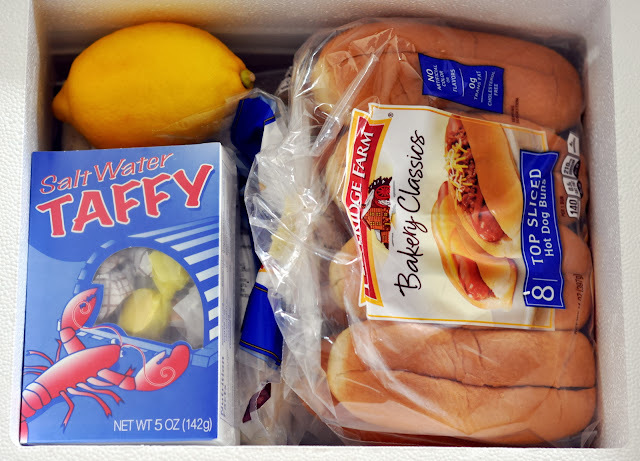 The next layer revealed a fresh lemon, a box of Maine saltwater taffy, and a package of split-top rolls, an absolute must when it comes to making lobster rolls. Underneath the rolls was the New England Clam Chowder with simple reheating instructions. 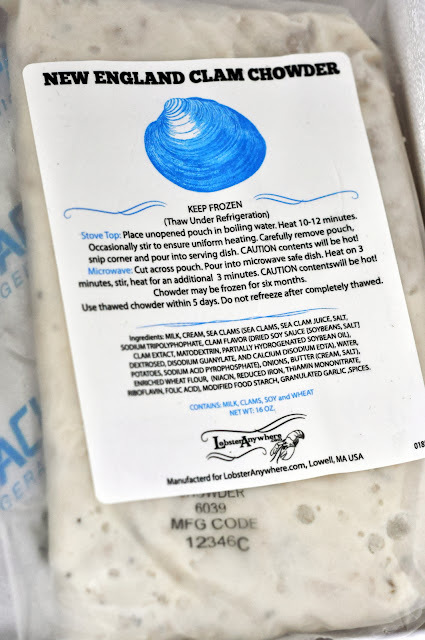 I'm extremely picky when it comes to clam chowder, so I was excited to give the chowder from Lobster Anywhere a taste. I continued digging until I found the gold -- two pounds of cooked lobster meat from the claws and knuckles. In an instant, I knew that this party was going to be epic. Since the lobster arrived already cooked and already shelled, I didn't have to spend too much time in the kitchen prepping for the lobster rolls. 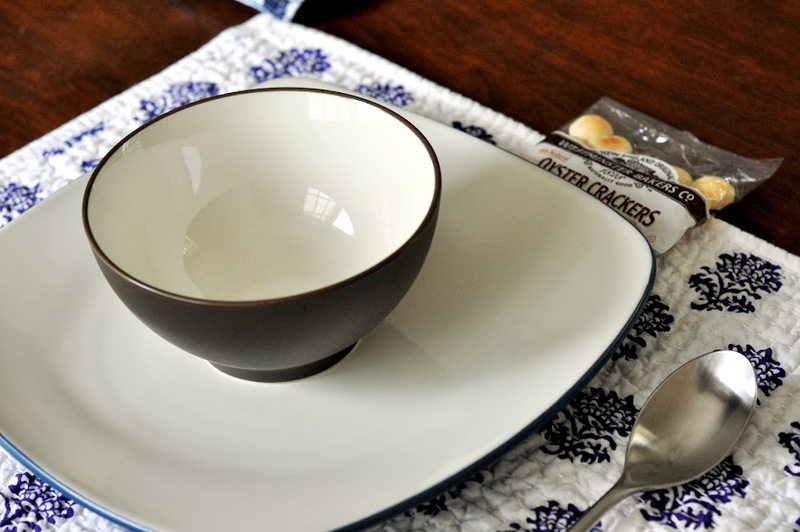 That meant I could devote more time to setting a nice table for our guests. Although there was lobster on the menu, we kept the whole affair pretty low-key and casual. When it came time to pull the meal together, I removed the lobster meat from its package and placed it in a colander for a quick rinse. I mean, just look at that lobster. Have you ever seen lobster that beautiful before? The Lobster Roll Kits includes a recipe for Classic Maine Lobster Rolls that calls for mayonnaise, but, seeing as I'm from Connecticut, I chose to make Connecticut-Style Lobster Rolls. That meant skipping the mayonnaise altogether and creating a decadent sauce for the lobster meat from three simple ingredients -- melted butter, paprika, and lemon juice -- while the clam chowder was warming in the microwave. Once I finished grilling the sides of the rolls, it was ridiculous how quickly everything came together. The New England Clam Chowder was thick (but not gluey), creamy, and full of generous pieces of clam and potatoes. The flavor was rich but not overwhelming, and just one spoonful brought me back to the summers of my childhood. Before I talk about the Lobster Rolls, I just want you to look at it. the true star of the evening. As I polished off my first lobster roll and started in on my second, I felt a deep sense of gratitude for the opportunity to share such a decadent meal with good friends. I was so focused on my lobster rolls that I completely missed eating the only side dish I prepared from scratch -- the Roasted Corn with Cilantro Lime Butter. Everyone told me it was delicious, and when I snacked on some of the leftover corn the following day, I couldn't help but agree. Thank you so, so much to the folks at Lobster Anywhere for allowing me to put your Lobster Roll Kit to the test. You have now have a devoted following in Pennsylvania who will be talking about this meal for months to come! Once the butter has melted, remove the pan from the heat and add the paprika and lemon juice. Whisk until combined. Keep the butter warm over low heat and preheat a grill pan over medium-high heat for 2 minutes. 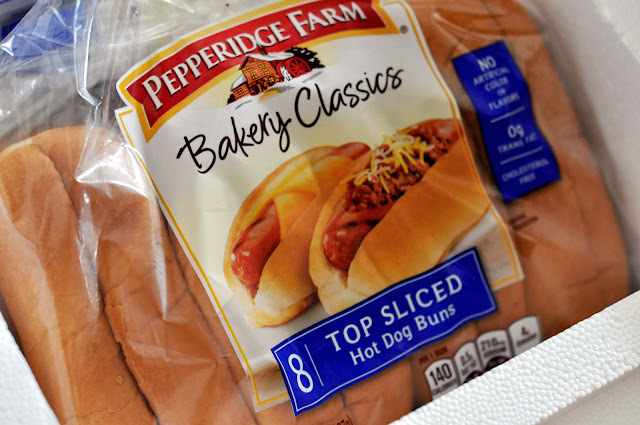 Brush the sides of the split-top buns with the melted butter. Grill the buns on each side for 2-3 minutes or until lightly browned. While the buns are browning, place the cooked lobster meat in a medium bowl and pour the remaining butter mixture over the meat. Toss gently until all of the lobster has been coated with butter. Pile the lobster meat into the buns and serve warm. Taste As You Go Disclaimer: I was provided a Lobster Roll Kit from Lobster Anywhere at no cost to me. I did not accept monetary compensation for this post. All opinions expressed are my own.